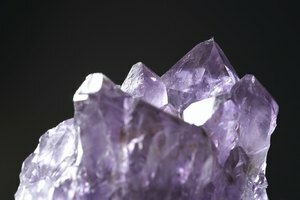 Crystal users employ certain crystals with great care because they are powerful and should only be used by experienced and knowledgeable practitioners. These powerful crystals allow crystal practitioners to facilitate healing of the body, soul, mind, spirit and finances. Crystal lore teaches users how to employ them safely to help others. Dr. Flora Peschek-Böhmer and Gisela Schreiber, authors of “Healing Crystals and Gemstones,” state that rough, unpolished stones contain the most healing power. Clear quartz, also called rock crystal, is known as a master healer and a stone of great power. 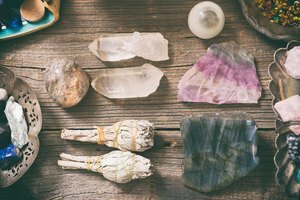 Crystal healers know this crystal is the most versatile healing stone and may be used to facilitate many different kinds of healing, including reducing burn blisters, alleviating pain and reducing fever. 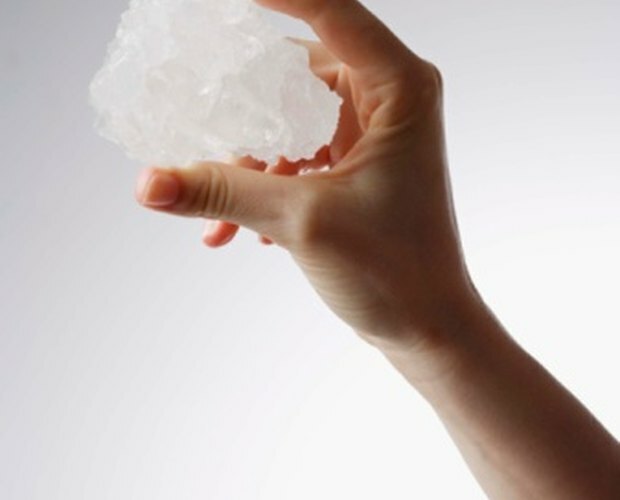 Quartz treats stomach, heart and bowel issues. Healers place the stone on the part of the body or chakra needing the healing. Quartz amplifies the abilities of other stones and may be substituted for any kind of gem you don’t have. The ruby is said to be the most powerful gem in the universe because of its high energy. Combing all types of love to create divine love in crystal form, it promotes healing on all levels. It works most powerfully on the root chakra to remove blocks and stimulate vitality and passion. Crystal lore teaches that rubies can improve fertility, remove blood clots, fortify the heart muscle and improve circulation. It intensifies all emotions and amplifies all kinds of energy when used with the intention to learn from experience. Amethyst is a very powerful stone for master healers and meditators. 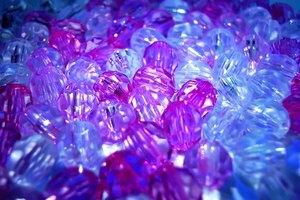 Many healers wear amethysts because the gem allows the healer to focus her energies in very direct ways. Healers say it effectively relieves physical and emotional pain and may assist in overcoming the power of addiction. They use it to treat insect bites, migraines, asthma and reduce pain. Traditionally, healers use it to prevent miscarriages, ease pregnancy discomforts and ease childbirth. The green malachite crystal creates powerful healing energy, especially when used with azurite or chrysocolla. Dr. Peschek-Böhmer reports that ancient Egyptians used the stone to protect pregnant women and reduce the pain of labor. Healers use it to treat metabolism issues, reduce pain and inflammation and ease pregnancy discomfort. It promotes growth, builds strength and absorbs undesirable energies. It makes an ideal meditation stone by equalizing and balancing vibrations and it can create a clear path to a desired goal. Crystal workers call aventurine the warrior's stone. Dr. Peschek-Böhmer says ancient Greeks sewed it into the clothes of warriors to protect them in battle. It provides healing on all levels, especially in the area of the heart, lungs and adrenal glands. It helps the user to find solutions to life's problems. It balances emotions and helps the user during stressful periods. Aventurine has powerful wealth-attraction powers, assisting the user in identifying new opportunities. Citrine eliminates disturbing nightmares and removes negative energy. Its ability to transmute negative energy into positive makes it a protective stone and an effective body detoxifier, according to Dr. Peschek-Böhmer. Healers use it to treat constipation and liver congestion. 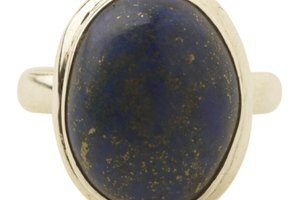 Crystal lore says it can usher in prosperity and good fortune in unexpected ways. Dr. Peschek-Böhmer claims that kunzite is a powerful healing stone, promoting balance between reason and feelings. It regulates the thyroid, stimulates hormone production and strengthens the circulatory system. It relieves stress, fear and anger, and replaces them with love, peace and harmony. It symbolizes purity and new life. On its website, Crystals, Rocks and Gems claims medical professionals use it to treat psychiatric disorders. Rev. Kathryn Rateliff Barr has taught birth, parenting, vaccinations and alternative medicine classes since 1994. She is a pastoral family counselor and has parented birth, step, adopted and foster children. She holds bachelor's degrees in English and history from Centenary College of Louisiana. Studies include midwifery, naturopathy and other alternative therapies. What Are the Metaphysical Properties of Opalite?